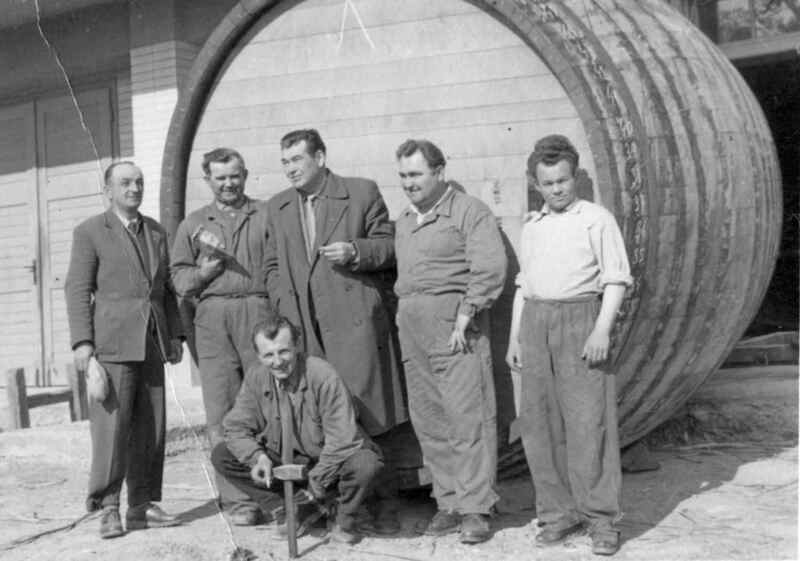 Tradition of growing grapes in the area of Topoľčianky village goes back to the year 1723. In that time, invited by count Kaglevich de Busina, qualified grape growers from Dalmatia came to Topoľčianky. In years 1800 - 1831, French specialist and fruit grower Gagco was looking after the viniculture along with his main activity, which was the castle garden. Another important period of time came after the creation of 1st Czechoslovak Republic. In that time the castle of Topoľčianky became a summer residence of the president, which brought popularity to the eponymous village and local viniculture too. First Czechoslovak president Tomáš Garrigue Masaryk visited Topoľčianky in summer in years 1923 - 1935. Once he even made his stay four month long... When he was there, wine from local production wouldn’t miss during official political and cultural visits. 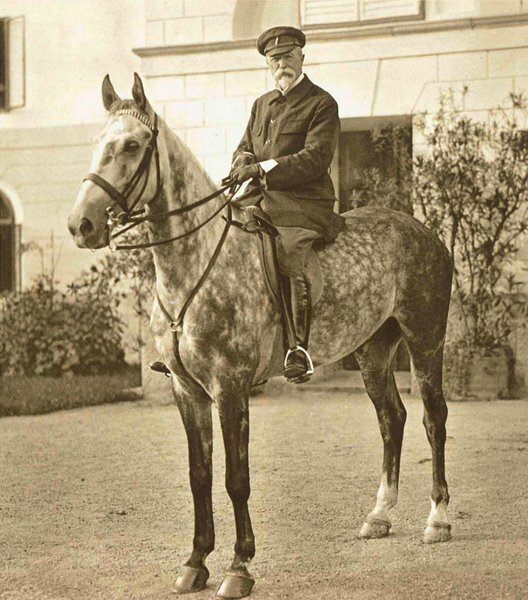 Due to the connection with such a great personality as undoubtedly president Masaryk was, the wine became a fashionable article, appreciated even in Prague wine houses and cafés. In that time wine production was devided into three purpose - based categories by the Council of nutrition: selling, representation, and presidency needs. From the preserved analyses of wine from that time we can read its original variety composition - Rhyneriesling, Welschriesling, Pinot blanc, Grüner Veltliner, also Sylvaner. In blue varieties dominated Blaufränkisch, Cabernet Sauvignon, Merlot and Pinot Noir. 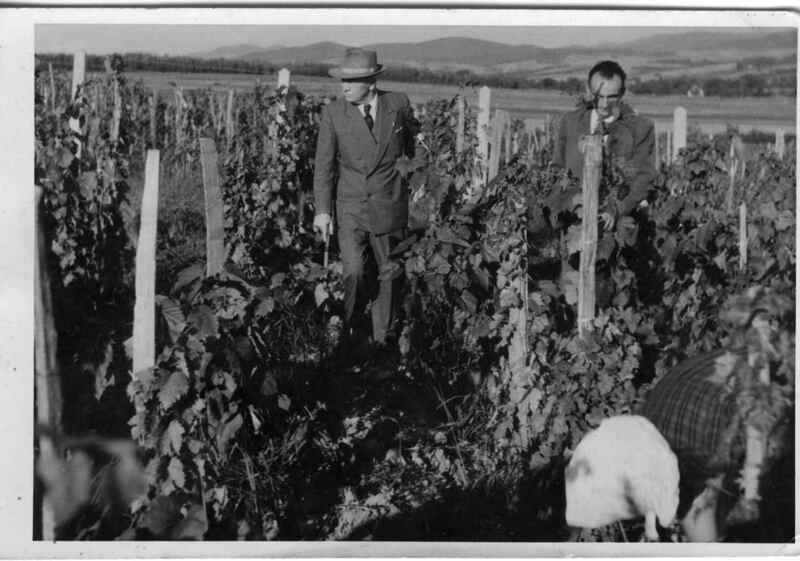 First wine produced with the trade mark Château Topoľčianky was made in 1933 and its exclusive distributor was company Vínne sklepy Hostinských. Its etiquette, which you still can find in our portfolio, shows unusual combination of a girl wearing traditional folk dress at the front of Topoľčianky castle with High Tatras hills in the background. The creators´ aim was to underline Slovak origin of the wine, and that is also why they paid so much attention to the details of traditional folk embroidery on the dress of depicted girl. Tender nostalgia comes with the information about a bottle content which is written in the old metric units - 1 pint 7 ounces which equals to 0, 75 liter. 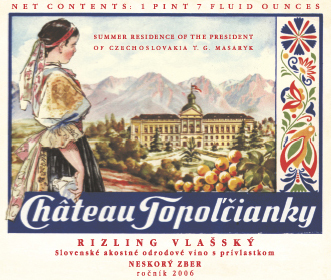 In 1947, wine with the trade mark Château Topoľčianky was exported to USA for the first time.